Tag Archives for " Mike Tyler "
0	Can Your Video Advertisement Reduce Everyone to Tears? Remember Tears for Fears? 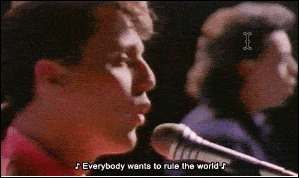 They had it right: everybody wants to rule the world. 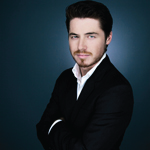 When you set out to create a video advertisement, you want its influence to span the globe. The best way to accomplish that feat is to leverage something that is universal: like emotion. Brands that elevate themselves up from the level of simply providing a service, to the heralded plateau of being a facilitator of emotion are the brands most likely to succeed in the global online community. In the past, the challenge was establishing a genuine human connection with only a 30-second video spot. But online, viewers have “leisure time” in the emergent channels (social timelines, Whatsapp-style group messaging, etc.) to consume content that is much longer in length. In this blog post, we’re going to take a look at an advertisement from Google that utilizes this extra available time effectively in order to shoot straight for the heart of the viewer to bring forth the tears. Interestingly enough, ‘Tears for Fears’ is a reference to one of the core principals American psychologist and psychotherapist Arthur Janov, who advocates a ‘tears instead of fears’ approach to dealing with (childhood) trauma. “Dear Sophie” comes from BBH New York & Google Creative Labs. It has over ten million views, and about two seconds into the video you feel why—in your heart. It will get to you emotionally. For that reason and others, it has won multiple advertising awards, including the People’s Voice at the 2012 Webby Awards. The advertisement is about 1:30 in length—three times the length of the traditional 30-second slot—but it sustains the viewer’s attention just fine because in part the viewer is probably just browsing the web looking for something to watch. Notice how “Dear Sophie” is not really about any one service in particular. In simply telling a story, Google succeeds in advertising all of their services—a lifestyle, even. A lifestyle of love. It sounds somewhat cheesy, but ten million views isn’t cheesy at all. To sum everything up: the short story format of a couple minutes is made possible by the extra “leisure time” available online. Generally, however, most people agree that anywhere from 2–7 minutes is an appropriate range for the short story format. In the next blog post, we’re going to continue looking at “leisure time” advertising. Taking full advantage of the time available is one aspect, but taking full advantage of the context itself is another, and perhaps more important.